Home > News > Product Knowledge > What are the Components of the Mobile Crushing Station? 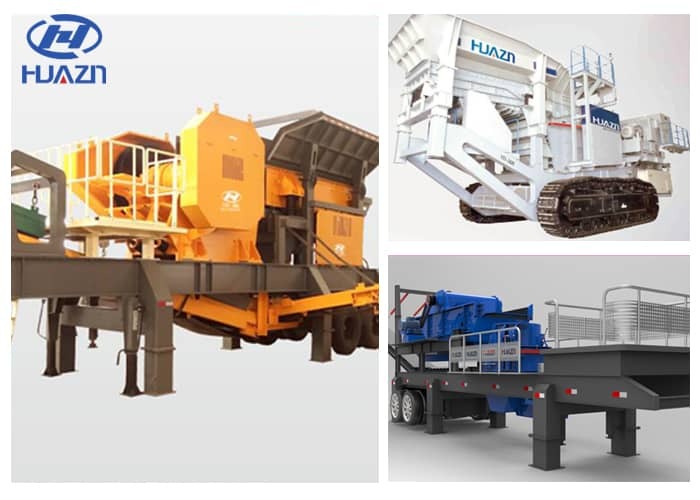 What are the Components of the Mobile Crushing Station? Mobile crushing plant with mobile and flexible, save costs, reduce maintenance costs, client does not need to install the link, without crushing the advantages of the environmental control and applied to all walks of life, the site is factory installed after the factory, so the user does not need to install, thus saves more Labor, the site is down to a line, so include device type is more, this is to save part of their specific. In mobile crushing station, due to realize crushing assignments, so you need to crushing equipment, in general, according to different production requirements, the need of broken links, there are mainly coarse break, break, etc., so you need to select equipment including jaw crusher, cone crusher, or impact crusher, then the material transfer between these different devices need belt conveyor, the material added to the equipment for production, need is hoist and feeder, if the product quality or the material requirements in the production of more stringent requirements, need for mobile crushing station configuration screening equipment. Above acceptable crushing plant contained in the device type is more, at the time of choice for these different types, need to refer the main is the user's production requirements, or different according to different requirements, such as the second stage, the selection of cone crusher and counterattack broken, not only the different capacity, product quality is not the same, input costs are also different, of course, but can meet the demand of their production combination is reasonable. The types of these different types of equipment are also diverse. Different types of equipment can not only bring different production capacity, but also different production energy consumption. Therefore, in the configuration of mobile crushing station, not only production capacity but also cost input should be considered. Next Article: What kind of rock crusher is better?